We were approached by a telecoms engineer who was working on a project involving the refurbishment of a 1930’s single-block solid wall bungalow. He had bought the bungalow just a year previous and had been upgrading the wall with thermal insulation laminates as well as replacing the asbestos ceilings with an insulated board. Before he would carry out each task he researched to find the best and the most common practice which in the most part he found to be extremely different. On fixing insulated plasterboard to the walls he came across some traditional methods which involved using a mechanical fastener having a plastic wall plug component, which isn’t at all fireproof. To secure the mechanical fastener he had to drill through the plasterboard. However, on doing this it actually ended up making a hole larger than what was required and this meant that the fixings pushed through the board. This was completely impractical as nothing was secured other than the fixing itself. 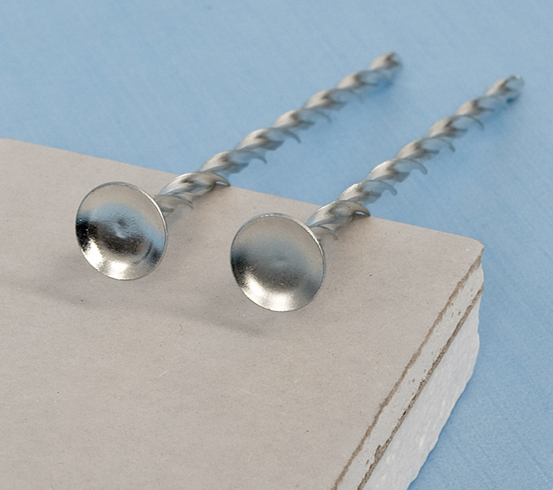 Twistfix suggested that he gave the Insofast insulated plasterboard fixings a try. On testing those out he found that this was not the case as with the traditional method; the large dished head helical fastener secured the board like nothing else! A really fantastic product it has a dish profiled head as mentioned above which countersinks into the gyproc to mechanically secure the insulated plasterboard to walls. The metal insulation fastening is also fireproof and features a self-tapping helical shank;. It is this which has work hardened blades with the ability to cut a thread into a wide range of masonry and timber substrates. The fastener is installed using an adapter powered by a lightweight SDS hammer drill. Highly suitable for fitting all types of insulated drywall boards the dish-headed wall ties can either be used to suppliment dot and dab or in place of! Twistfix have a full range of insulation fixings so ensure that you take a look at them before opting for traditional methods of fitting plasterboard insulation to walls. For more information then contact us on 0845 123 6006 or email info@twistfix.co.uk.